AVS designs and manufactures the most functional, stylish, and affordable automotive accessories. As our many satisfied customers say in their reviews, these products provide the best vehicle protection, improve driving enjoyment, enhance vehicle styling, plus they’re easy to install. And you’ll get long lasting performance from AVS accessories because each one is precision engineered and crafted from the finest materials right here in the USA. One of the best things about AVS accessories may be that they’re so easy to install. Most accessories are secured to the vehicle with 3M™ acrylic foam tape. This tape is so effective it’s used by the automobile manufacturers to attach trim at the factory. And we have special offer from AVS for you! 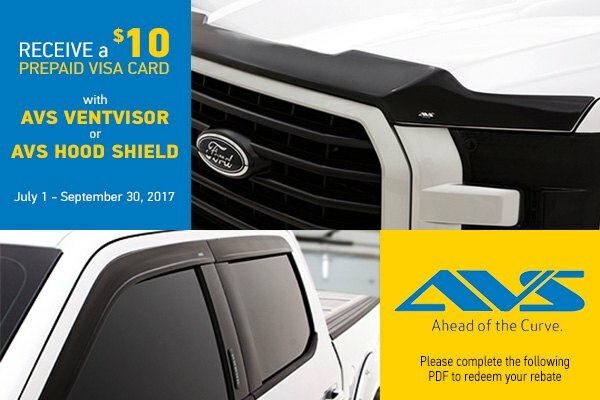 Don't miss your chance to buy AVS Hood Protection and Ventvisors and save 10% off the original price. Do not hesitate and make your purchase right now, this offer is valid through December 15, 2014! Wheels & Tires For SALE!!! Zinik Z9 Sabini For SALE!!!!!!! Quick Reply: Incredible sale from AVS!